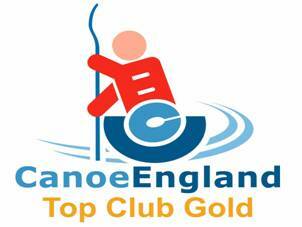 We have just been told by Gareth Field, Senior Canoeing Development Officer for Canoe England, that Liverpool Canoe Club has just been awarded Gold status for the BCU`s Top Club scheme. This is the highest Award in the scheme and we are now one of the few clubs in the UK to gain the Award and certainly the first in the North of the country. The club now has over 500 active members paddling regularly both at our base at Liverpool Marina and at three different pools on Merseyside. We are particularly active in sea kayaking, white water, surf, open boating (canoes) and canoe polo. We also have an active BCU lifeguard unit that provides safety cover at many local and national open water swim events. The club has a very active junior section and runs many fun events and has regular talks and presentations at the conference suite at Liverpool Marina. We support Halewood Activity Base (a local disabled group) to run paddleability sessions using club equipment in a local swimming pool. Congratulations to all of you that have made this Award possible. The clubs top club evidence file…..
Clubmark is Sport England‘s quality accreditation that demonstrates to sporting partners, local authorities, schools and parents, that a club meets the minimum operating standards to ensure clubs serve young people well, by offering a quality experience in a welcoming environment. Top Club follows the same framework of criteria and standards as Clubmark but allows a club to provide evidence that they have systems and procedures in place to demonstrate they operate above the minimum operating standards. This type of club is offering more to Paddlesport, its members and the community. Top Club Gold again much of the same levels of criteria as Clubmark and Top Club but this type of club are demonstrating that they are a very active club in both a community and performance based role.